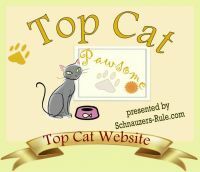 Audio, video & multimedia products about cats, on sale! Are You Being Served? The Complete Collection DVD Boxed SetThe British sitcom classic! Austin Powers 3-Film Collection DVDAll three Austin Powers comedies in one package! Babe Blu-Ray DVDThe beloved classic, now on Blu-Ray! Black Cat Orchestra CDAn eclectic, exotic sound...and with a great name! Bringing Up Baby DVDThe 1938 comedy classic! Cheetah Girls 2 Original Movie Soundtrack CDOlé! Go to Barcelona with the Cheetah Girls! Chronicles of Narnia: The Lion, The Witch & The Wardrobe Live Action DVDAs seen in theaters! cat-themed CDs, DVDs, & multimedia products!